Police agencies that require a spacious interior and ample room for cargo can have those capabilities while getting pursuit-rated performance. The pursuit-rated Police Interceptor Utility is purpose-built for police work. You’ll enjoy the same power, performance and protection as the Police Interceptor Sedan but with increased interior versatility. More capability on the beat. 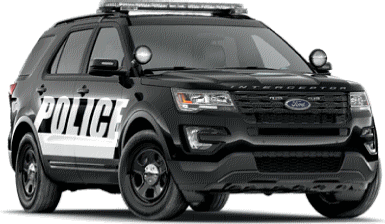 Learn more about the Ford Police Interceptor SUV by clicking HERE.